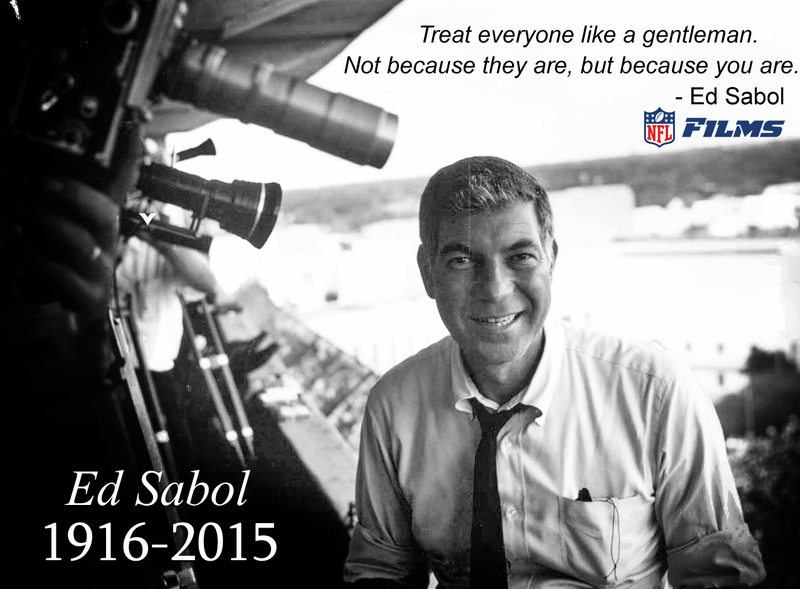 It is with very heavy hearts that we must share the news of Ed Sabol’s passing. “Big Ed,” the founder of NFL Films, was a visionary and will be deeply missed by his family here at NFL Films. Tune in to NFL Network tonight at 8pmET as we honor and remember Big Ed in his documentary, “Ed Sabol: A Football Life.” He truly, truly lived a football life.